No matter how many ways there are to define ‘success’ in a business, satisfied clients or customers and a competent team are always going to be in the definition, whether you run a small business or an enterprise. Organizations of all types have to deal with large volumes of requests on a daily basis and this needs proper organization and efficiency. Ticket creation is a core reason why helpdesk apps are used. There are two basic types of helpdesk software; the on-premises solution that you install locally on a server that you’d need to purchase separately, and SaaS solutions that are hosted in the cloud and managed for you. The way the software works is by converting incoming requests into tickets. These tickets are delivered quickly and accurately to the various departments of a company. You can use automated rules that align with your business needs, as well as track and review the complete history. We’ll give you a quick update on 6 systems we’ve chosen that have the key qualities needed to be on this list. Freshdesk comes with a range of integrated features that cut the workload. All emails, chats, telephone calls and feedback can be converted into tickets. This means no going back and forth between different tools. It allows you to prioritize and categorize tickets, so everyone knows who is working on what. The built-in ticket timers give you a way to capture the data for your time and billing system. You can check http://helpdeskreviews.com/ to know more about Freshdesk as well as find reviews about other helpdesk tools you can review and compare. You can build your user community with a built-in user forum and links to your social media accounts. Freshdesk might be rated as one of the best tools out there, but it’s not the only one. Hosted by the cloud, users have a portal to submit tickets, check on progress, and respond to a help desk technicians, updates or solutions. Managers can track tickets, view what’s left open, and put policies in place that make sure tickets are not forgotten and are assigned the proper priority to get taken care of. HappyFox enables things such as round-robin assignments, and every conversation from emails, social media messages, voice calls etc., are converted into tickets. There tends to be a belief that Java server applications are on the slow side, but ServiceDesk busts through that myth showing that efficiency and high quality can be done via java. With easy cloud integration, this Information Technology Infrastructure Library (ITIL) compliant help desk software is enough for any user. ITIL basically aligns IT services with business needs, but the software is flexible enough to flex and grow with the business. For larger businesses, Vivantio could be one of the best choices since it’s been on the market for a long time. When digging deep into the software, it’s highly customized and provides granular levels of access to a variety of features. It too complies with ITIL standards. Vivantio is one of the more sophisticated systems and may need training on it to get the best results from it. Agiloft complies with ITIL and has a host of customization to suit each of your business needs, but a bit pricey. Some systems require you to use it based on the way it was made to operate. Agiloft, on the other hand, has been customized to reflect your own work processes, with a simple design for you to modify. This means tickets can get routed by the same system your business already uses if you want. There are certain things that might be needed to be done in order for it to function properly with other internet sources such as Firefox and Chrome, but overall the system is very flexible. Jira is quite a solid tool, easy usage, and has a host of automation to allow you to work with third-party tools. While most competitors do use the cloud for data, as long as Jira is installed on-premises, it can be used as a central point of information for everyone involved with a project. The fact that it can be integrated with other common software industry tools adds further benefit from this. It does come with some limitations such as only those on your domain address can access the tool for email. Jira is ideal for large and remote teams working on a variety of locations, as it comes with mobile apps that keep Android and iOS users connected. 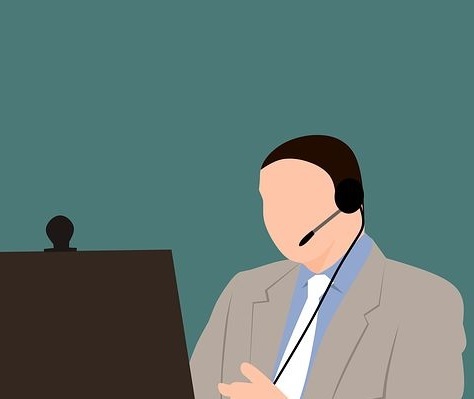 Helpdesk software over the years has become a crucial aspect for businesses that want a smoother way of handling requests, tickets, and customers. Of course, each software mentioned will have its own advantages and disadvantages. It’s a matter of choosing the right one for the scale of your business to put you and your team in control.